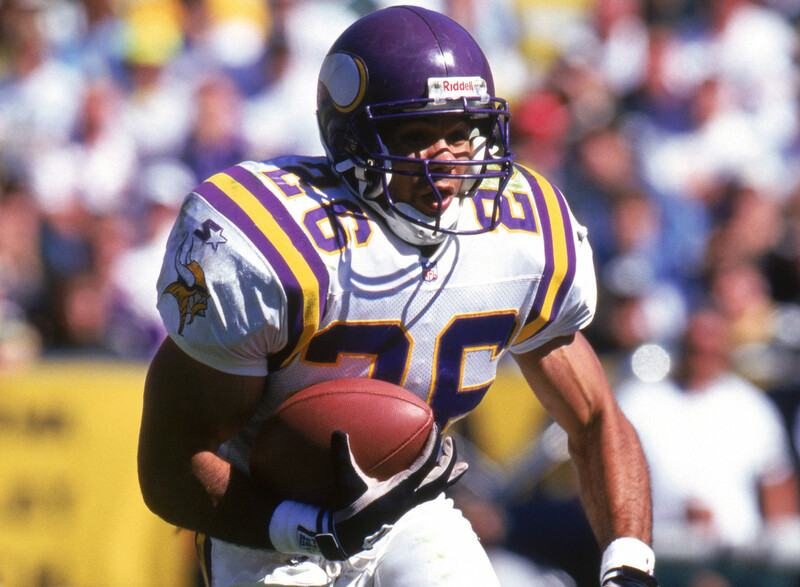 Robert Smith didn’t rush for 1,000 yards until his fifth Vikings season. He figures Dalvin Cook might get off to much quicker NFL start than that. Smith, the second-leading rusher in Minnesota history, chatted with Cook, a Vikings rookie running back, after a Wednesday morning organized team activities session. Then Smith played in the annual Vikings charity golf tournament at The Meadows at Mystic Lake in Prior Lake. “I think he’s going to be a contributor from Day 1,’’ Smith said of Cook. “I think he has incredible potential. I really think it’s a coup the Vikings getting him in the second round. He’s got everything. Smith, entering his second year as a college football analyst at Fox Sports after having that role at ESPN, followed Cook’s career closely at Florida State. Cook was selected with the No. 41 pick in the second round after gaining 1,765 yards last season. In meeting with Cook on Wednesday, Smith brought up a 2015 game in which he rushed for 222 yards and three touchdowns in the Seminoles’ 29-14 win over Miami after missing practice time during the week with a strained hamstring. “I just complimented him on being an explosive player and kind of being a guy that can play through injuries,’’ Smith said. “I referenced the game a couple of years ago against Miami when he had a (72-yard) run. Smith played for the Vikings from 1993-2000, rushing for 1,000 or more yards in each of his final four seasons before retiring at 28. He left as Minnesota’s leading career rusher with 6,818 yards before Adrian Peterson broke the mark in 2012. After rushing for 11,747 yards in 10 seasons, Peterson was not brought back by the Vikings as a free agent and signed with New Orleans in April. Smith believes Peterson, 32, still can be effective but has no issues with Minnesota not bringing him back.